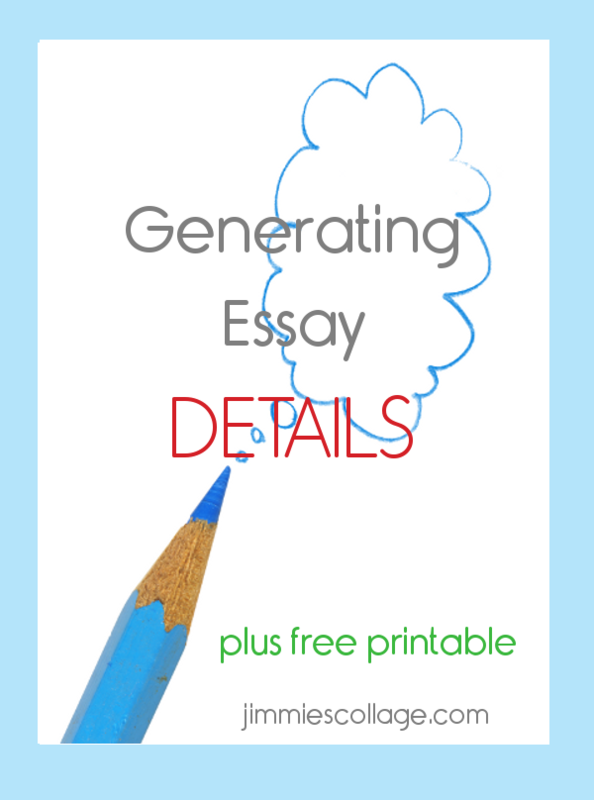 Generating sufficient details is hard for many young writers. It does require a certain level of creativity to think of new ideas. And some children have not had a lot of life experiences upon which to draw support for their paragraphs. Simply telling them that their ideas are not adequate is not helpful. They needs tools for thinking up fresh ideas. 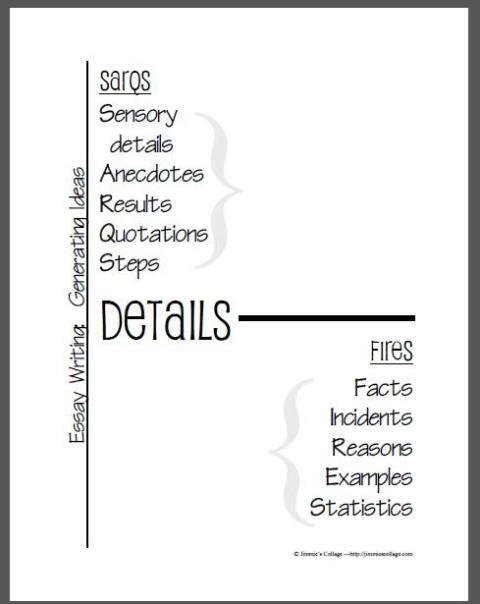 FIRES & SARQS are tools that help children come up with their own ideas. Sarqs is a nonsense word, but just go with it for the sake of the mnemonic. 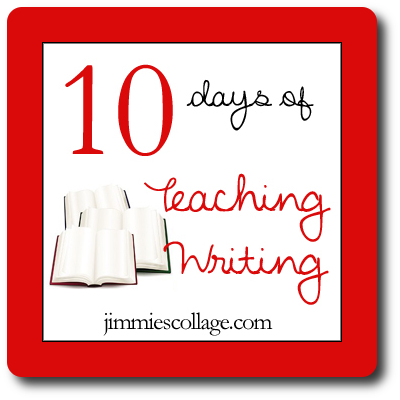 It’s a place you can insert some humor into the writing lesson. Have your child illustrate the mnemonic by drawing fire and sarqs on the printable page. What’s a sarq? You decide! This printable can be used for language arts notebooks to help you remember the mnemonic device. Or it can be a graphic organizer on which to brainstorm additional details. It can be used in conjunction with a prewriting page or instead of it. Probably the best use of this page would be to use it after doing some general prewriting. When you discover that you are lacking detail in a certain area, pull out this page and brainstorm some FIRES and SARQS. Or use it as a daily writing lesson to teach children ways to think up more details related to a particular topic. This printable is part of my ebook Essay Tune Up. The 10 Days Series is organized by iHomeschool Network, a collaboration of outstanding homeschool bloggers who connect with each other and with family-friendly companies in mutually beneficial projects. Visit the other posts to be blessed with tips on how to handle bad days, cultivating curiosity, teaching with Legos, and much much more! Why See Shakespeare Performed Live? Thanks for the lovely SARQS!?! Great ideas. I really like the idea of using it as a ready pre-writing tool in our Language Arts Notebook. Now I need to go back and read your previous posts. Thanks again.